Wondering about problems in selling a Texas Deed of Trust? In this blog post we will discuss some common difficulties in selling a Texas Deed of Trust and what you can do to overcome them. If you are reading this post, I’ll assume that you sold a property with owner financing. Now you’re thinking about selling a Texas Deed of Trust and want to overcome any complications that might arise. So, let’s discuss some of the difficulties you may run into when selling a Texas Deed of Trust. First we look at the borrower’s credit. When we buy any Trust Deed, we try to evaluate the risk of that deed of trust. The better the payer’s credit, the more we will pay for that real estate note. So, what do you do if your borrower has bad credit? In many situations, we will buy part of the trust deed and work with the payer to improve his credit, so that in the future we can buy the entire real estate note. Next, what will the property securing the deed of trust appraise for? The more the borrower has at risk, that is the more equity he has, the less danger we have in buying that real estate note… and the more we will pay for that note. Or, if the property is worth less than the balance of the note, in many cases we will buy a portion of the note. Next, we look at the terms of the mortgage note. If the note has a low interest rate or has a balloon payment coming up shortly, we may look at renegotiating the terms of the note in such a way that it benefits both the payer and the investor. And, we may run into title problems. In my 30 years of buying deeds of trust, I’ve never encountered a problem that we couldn’t overcome. 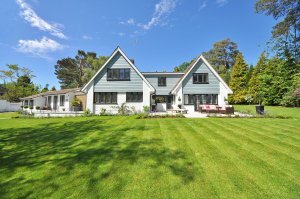 These problems include a portion of a structure being built on a neighbor’s property, the original promissory note being lost, and errors in the warranty deed and mortgage. If, you are considering selling a Texas Deed of Trust, make sure you’re doing business with someone with whom you have confidence. 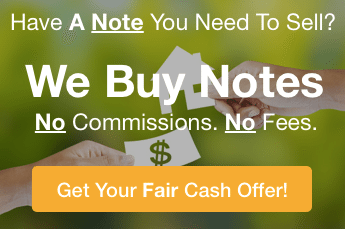 Check your Texas note buyers’ experience and their referrals and testimonials. Make sure that you’re dealing with someone who is more interested in solving your problem and getting you the cash that you need then they are in making money off you. If you would like a fast fair offer when selling a Florida Mortgage note, please fill out the form on this page or call us at 772-232-2383 and we will help you in any way that we can.